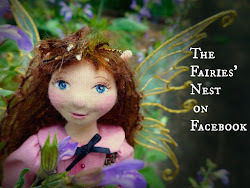 The Fairies Nest - OOAK Cloth Dolls & Fiber Fantasies: New Dolls! The shop upload is finally here! 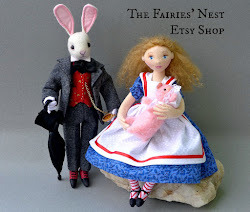 These 11 dolls...witches, Fall pixies, and storybook characters... will be live in the shop tonight 9/3/12 at 6pm EST. I have a Little Bo Peep that may be ready too...if I can finish her little sheep today...otherwise she'll be there tomorrow. 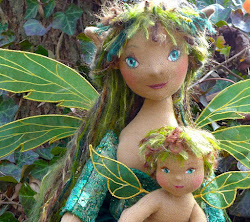 This month I'll be concentrating on bigger dolls....and off to work I go! Wow, they are amazing. You are so talented!! The dolls are AWESOME!!! So cute and so tiny! You have a beautiful talent, keep it up! Have a great day! I was in the middle of learning the vagaries of my new OS late last night when I came across the announcement that the dolls are in the shop. Just placed my order. Thank you so much for sharing the announcements again on your blog for those of us who do not use Facebook. The whole collection is simply beautiful. I love every single one of them! Good thing too cause when i finally got to the shop, not many left! !